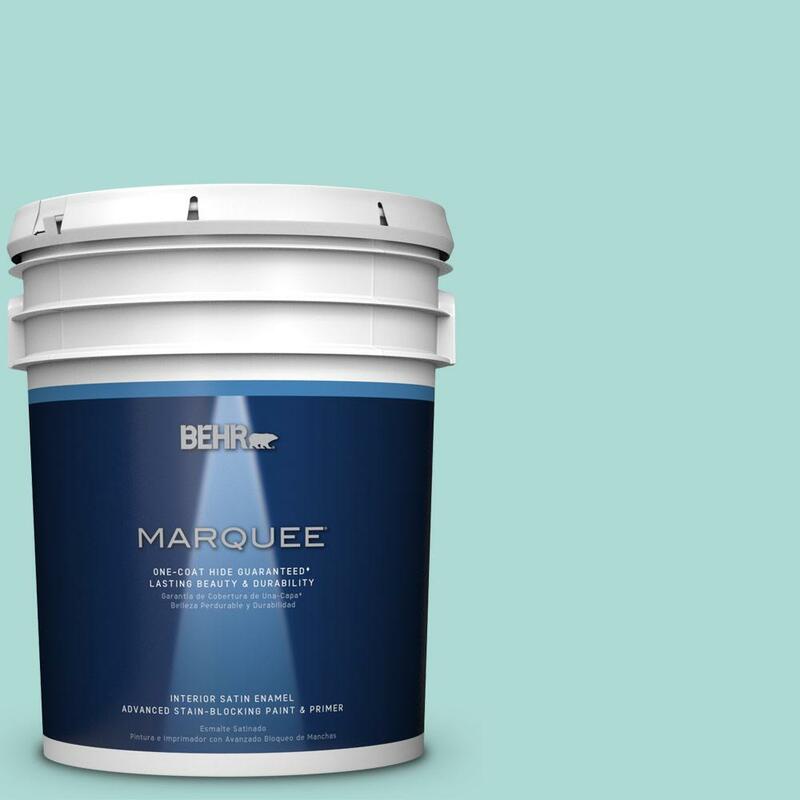 BEHR 5 gal. 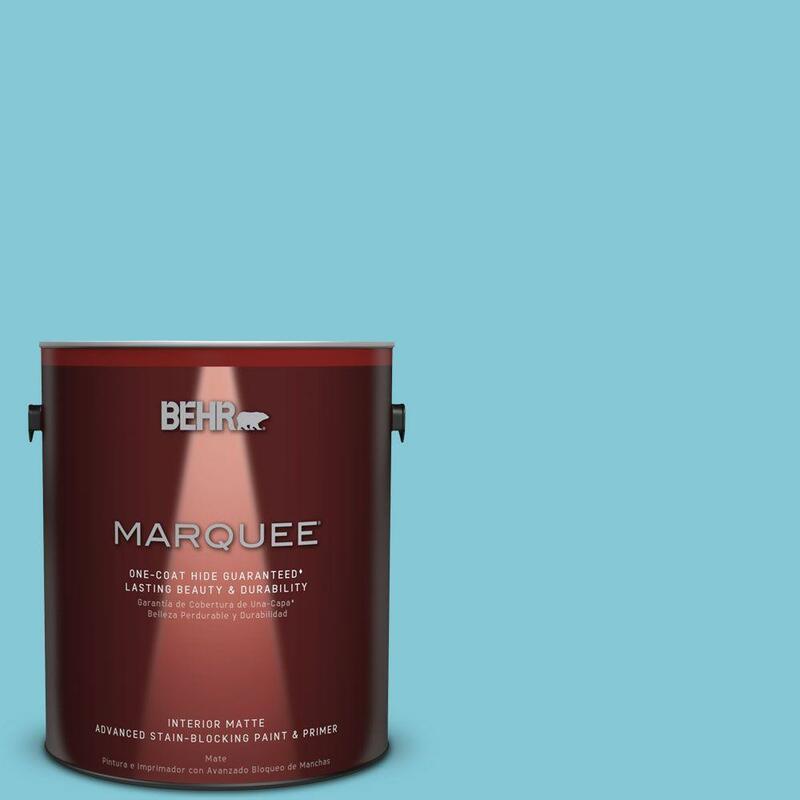 #M450-3 Wave Top One-Coat Hide Satin Enamel. 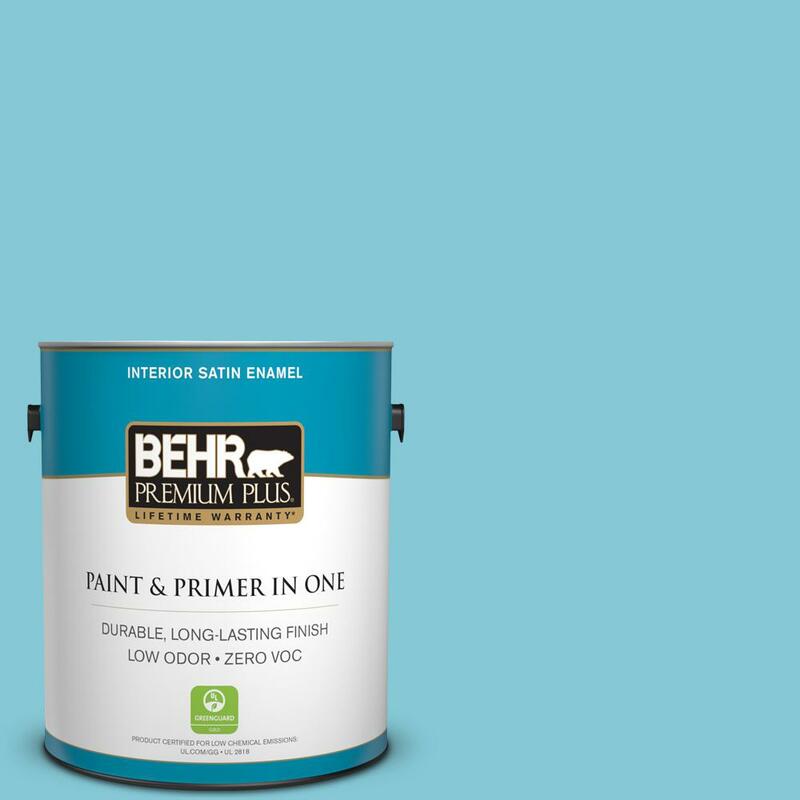 BEHR 1 gal. #MQ4-50 Not a Cloud in Sight One-Coat. 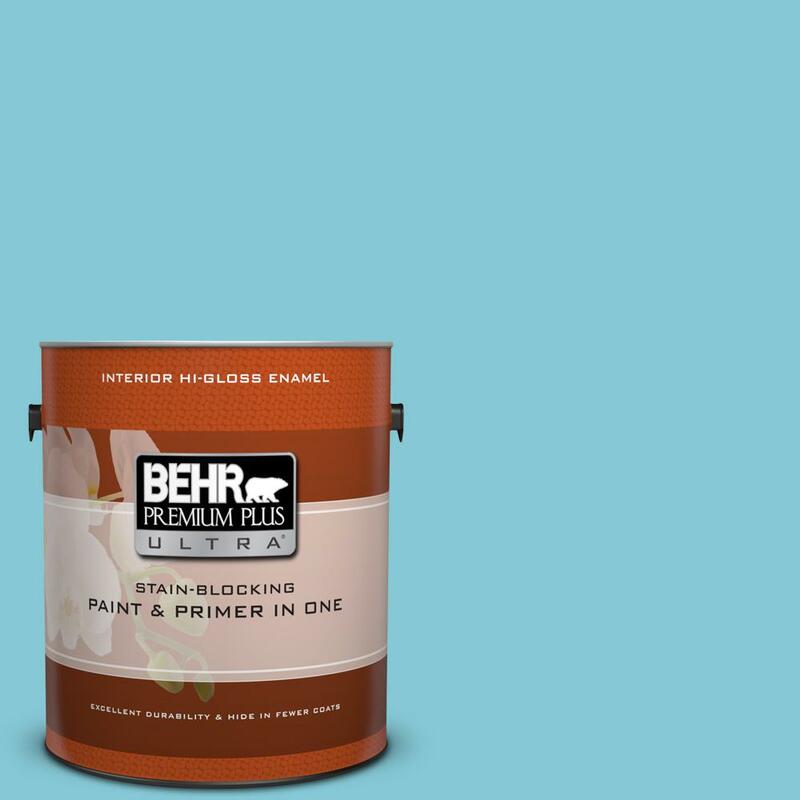 BEHR Premium Plus Ultra 1 gal.